Mary Burke is a Niagara artist living in Port Colborne, Ontario and is a member of the Visual Artists of Welland, South Niagara Artist group, The Arts Place Gallery in Port Colborne, as well as the Niagara Pumphouse Arts Centre (located in Niagara-on-the-Lake). She has recently gained a connection with the Southampton Arts Centre and will be doing a streetscape painting workshop there in September along with the possibility of her own show at the gallery later on. 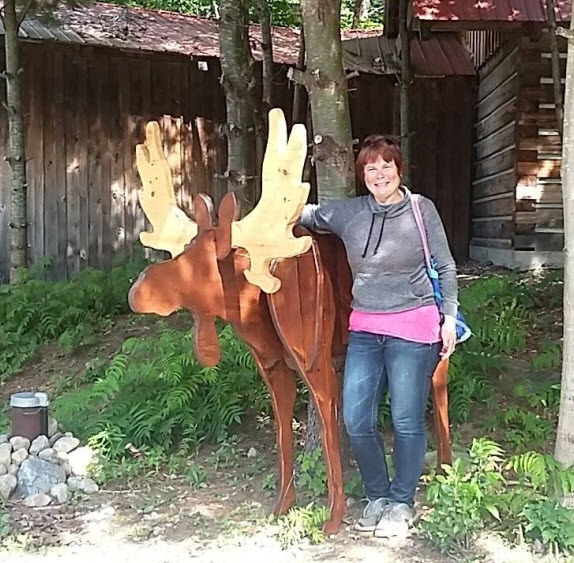 Rediscovering her passion for the arts after a long hiatus from the field, Mary recently completed courses in the Art and Design Foundation program at Niagara College. Mary painted as a hobby during her teen years, into her 20’s, then as she says “life got in the way” as she raised her five children. She’s back now and looking to break into the local and Ontario wide art scene. Half of Mary’s family is native to the Niagara region, and thus Niagara has always played an integral role in her artistic style. 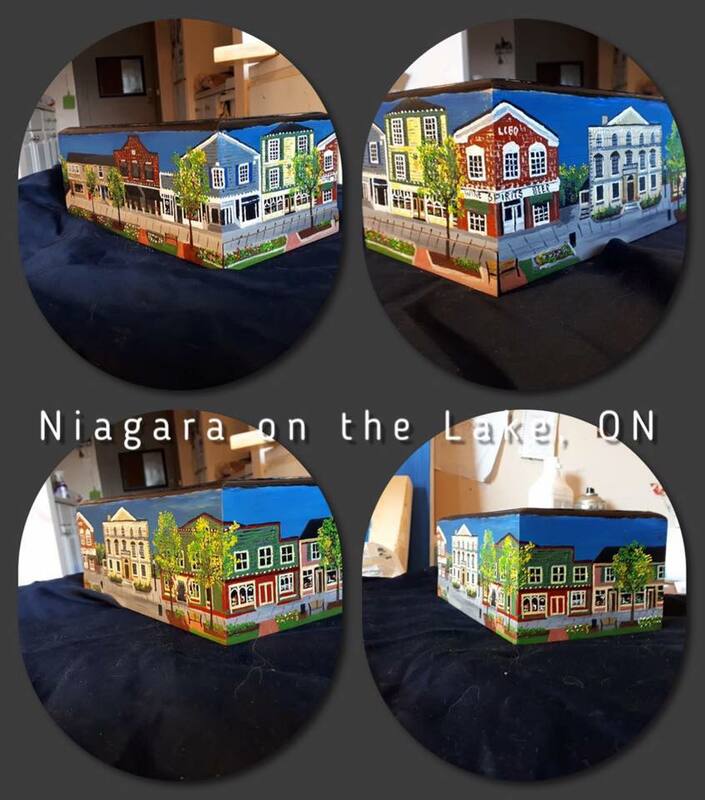 The main subject matter of her work involves depicting the main streets / highlights of city centers located throughout Ontario. Capturing the nostalgic beauty of the buildings that line the downtown cores, Mary’s work recalls the grace and elegance of yesteryear. In executing her works, Mary utilizes both oil and acrylic paint on a variety of textured mediums including driftwood, bottles, and even breadboards. Presently her main focus is working on lumber. 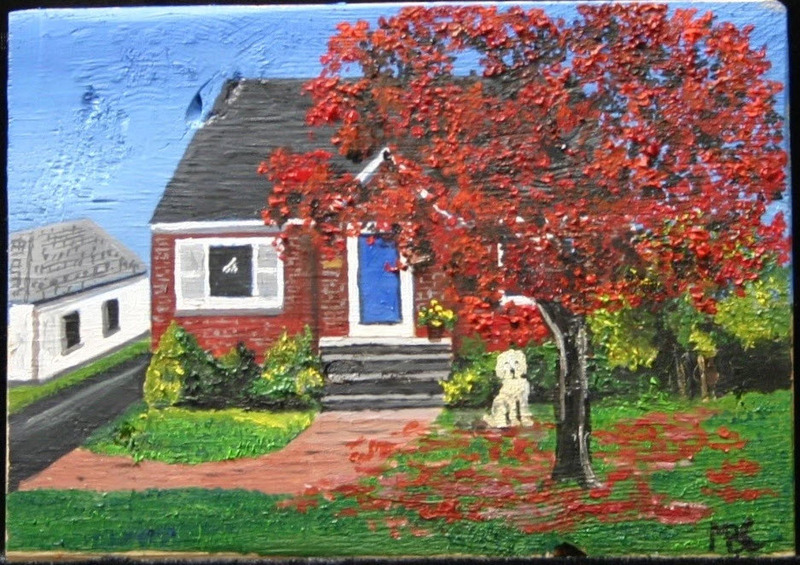 Her artistic style has found tremendous success with the public and her work can be seen at the Niagara Pumphouse Arts Centre in Niagara on the Lake, The Nook in Stoney Creek, Newton’s Art Barn in Victoria Harbour (near Midland Ontario), the Arts Place Gallery and Niagara Crafters in Port Colborne. Along with exhibiting her work, Mary has occasionally facilitated art workshops for The Willow Community Support Services in St. Catharines, and Bridges Community Health Centre in both Port Colborne and Fort Erie. She is a passionate advocate of the arts in the Niagara Region and hopes to continue utilizing her talents as a positive force throughout Ontario.